Welcome to the last installment of our Star Trek Extravaganza!! Before the tutorial begins, I would like to give a HUGE thank you to everyone who helped me celebrate the Star Trek 50th anniversary. This franchise means so much to each an every one of us, and I believe we filled the month with love and camaraderie; I think Mr. Roddenberry would be proud. So thank you to all the blog buddies who contributed, shared, and celebrated the Star Trek Extravaganza with me! And a big thanks to all who made my 300 follower milestone possible! 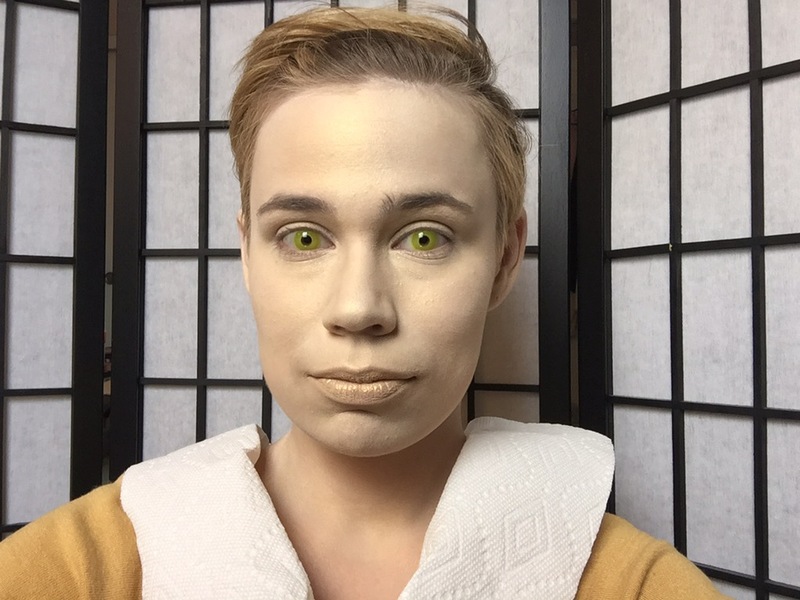 In my final act of celebrating Star Trek, and an attempt to usher in October, I give you a guide on how to achieve Data’s make-up. Data’s make-up looks simple enough, but it’s more complex than you realize—at least, than I realized. 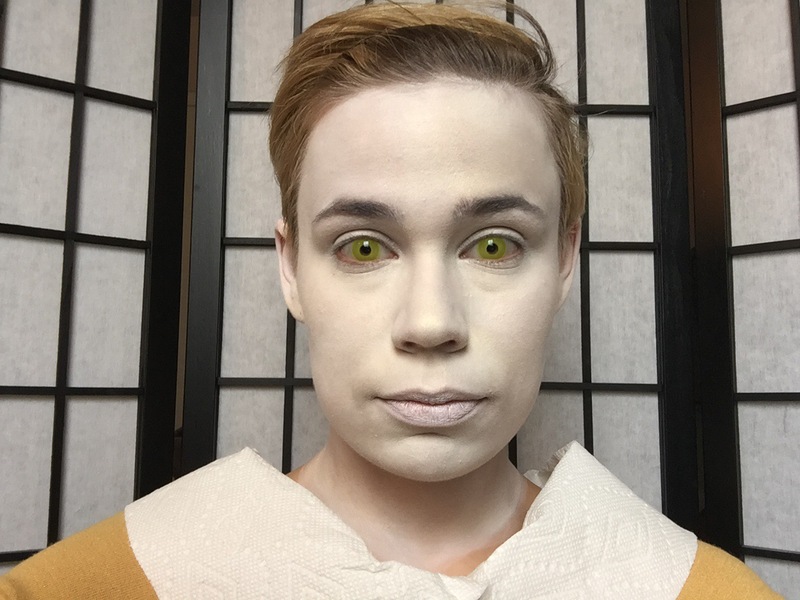 When I did this look for my Data cosplay at C2E2, I spent months trying to find the right products and techniques. 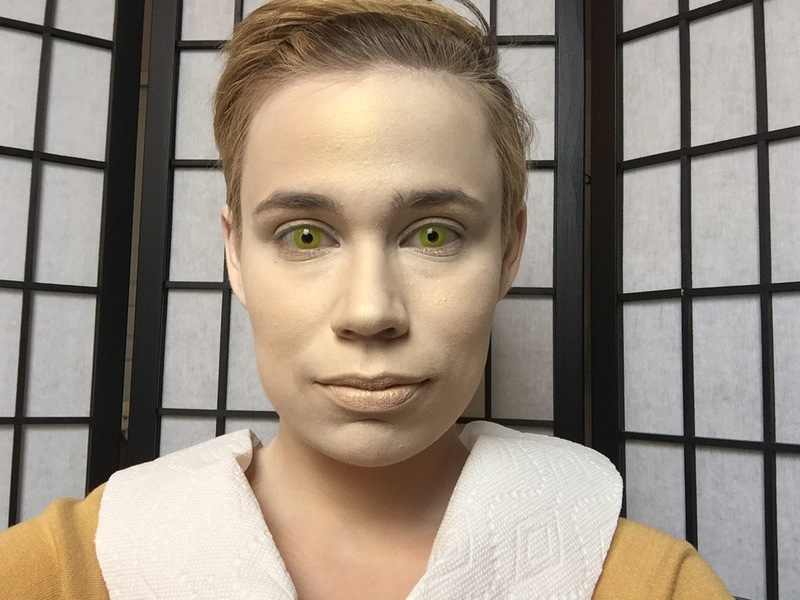 While I think I executed the make-up pretty well, I felt like improvements could be made. So, I went on the hunt for a good base to use, and asked for recommendations. 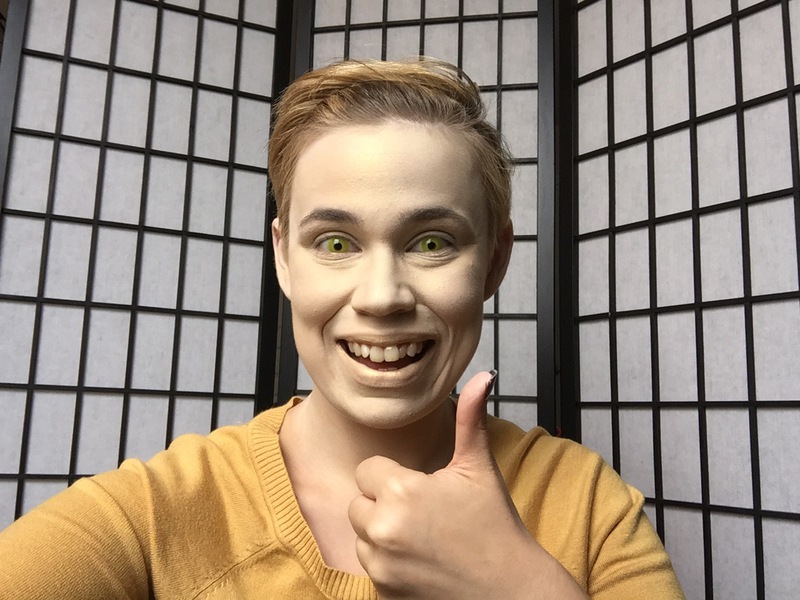 I finally found a nice base that holds up very well, thanks to the help of Kryolan. Though this is not a sponsored post, I would like to give a shout-out to the company because they were so helpful when I contacted them asking for product recommendations. I really love the base that they suggested, and I think that it heightened the level of quality for today’s incarnation of the Data look. Okay, enough talk! Let’s get down to it! *Note: these two NYX products are difficult to find now. I recommend the NYX Pigments in “Go H.A.M.” and “Brighten Up.” I’ll use these in a future YouTube tutorial. Start with a clean, dry face. 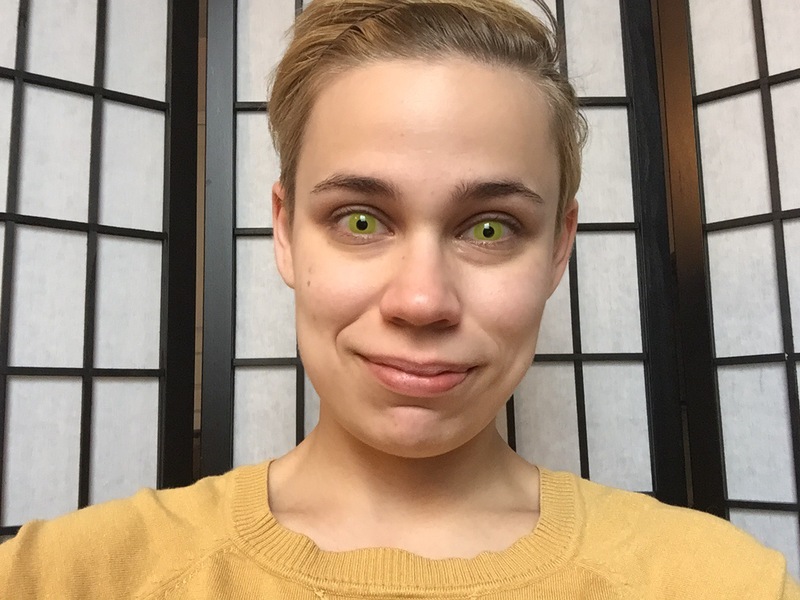 Put in your yellow contacts. It’s easier if you put them in now rather than risk any harm to your completed look. If you so wish, apply a layer of make-up primer. Once this has been applied, take a make-up sponge and apply your white cream make-up in a stippling motion. This white cream will be your base to create the look. Apply this to your face, ears, and neck. Do not apply to your eyebrows. Have a hand mirror (or a good friend) at the ready to use so you can apply the make-up to the back of your neck and behind your ears. You will more than likely have to apply a second layer, blend, or touch-up during this process. Wait for a couple of minutes before you go on to the next step so that the white cream base can set on your skin. Take your lightest eyeshadow (NYX Baked Shadow in “Moonshine” or NYX Pigments in “Brighten Up”) and a clean make-up sponge, and stipple the powder into the white base. Make sure the powder is even all over your face, neck, and ears. Do not apply to your lips, wait for a later step. Next, take the most yellow eyeshadow (NYX Ultra Pearl Mania in “Yellow Gold” or NYX Pigments in “Go H.A.M.”) and a powder brush. Shake some powder onto a flat surface (like the inside of a container lid), swirl the brush in the powder, and stipple into the make-up. Make sure this layer is even, and that you have a completely yellow complexion. Take your darkest, golden shade (NYX Baked Shadow in “Ghetto Gold”) and the make-up sponge you used to apply the first layer of powder. Lightly stipple all over. You’ll notice that this will bring out the yellow tones, and complete that pearlescent glow that Data has. 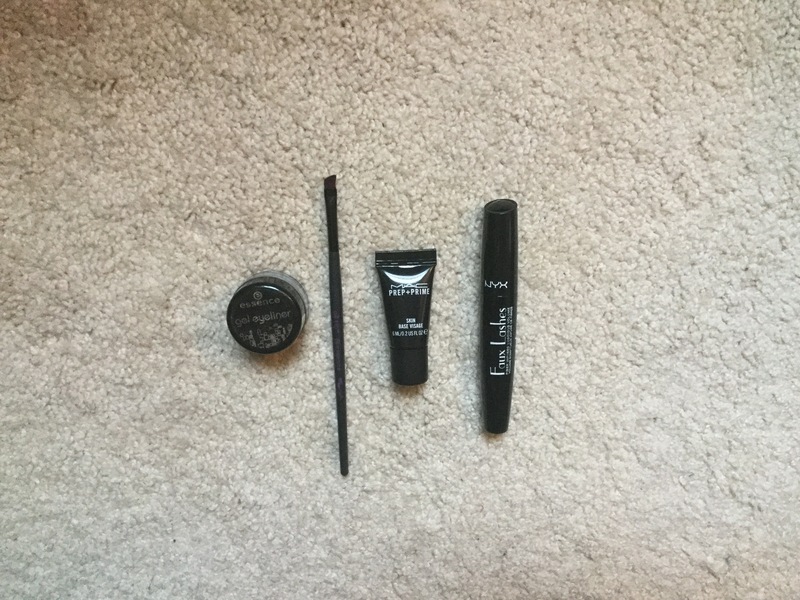 Shape and brush eyebrows using the fixing pencil. 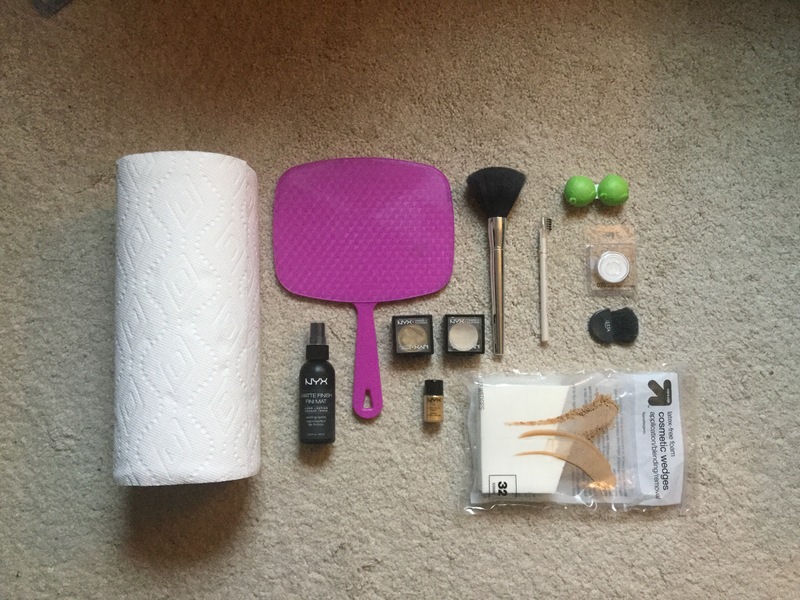 This will get rid of any make-up that has been applied to that area. Set with a couple of layers of a matte setting spray, making sure you allow drying time between the layers. Repeat steps 2-6 on your hands and part of your arms. Unless you want to add more to this look—which I will show below—then your look is complete! Since I did a crossplay for C2E2, I decided I would try to add some feminine touches to this look. I took a black gel eyeliner and lash lengthening mascara and went to town. I drew on a dramatic cat eye look and applied mascara to my top and bottom lashes. You’re ready to Boldly Go! I will warn you, this is not a quick look to achieve. This took me about an hour and a half to complete with the eyeliner and mascara steps. So reserve enough time and patience to complete your make-up. Also, don’t forget to blend and touch-up if you need to. 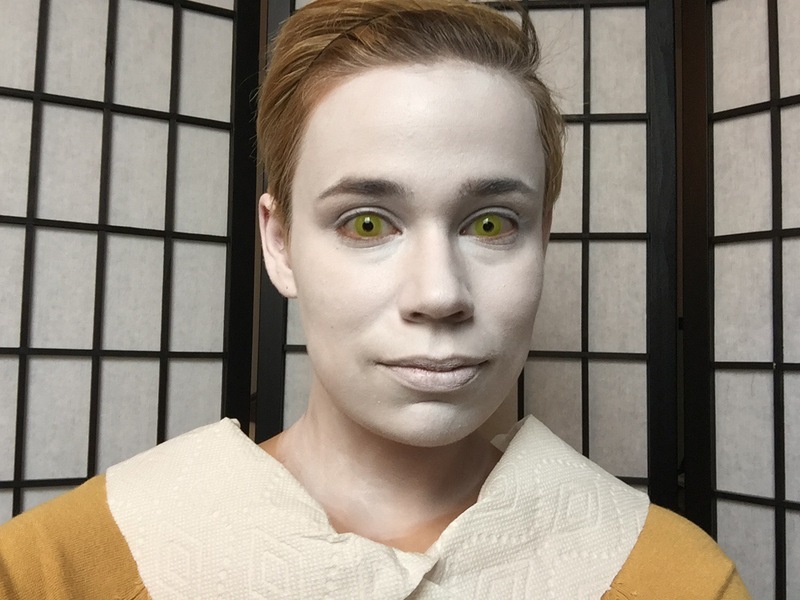 I wish I could have tested out the Kryolan make-up at a convention to see how it lasts through 8+ hours of wear, but it is a resilient make-up for sure. This is still one of my favorite cosplays I’ve done so far, and I wish I could be Data every day. Though it’s a time-consuming process, I am always thrilled with the results. 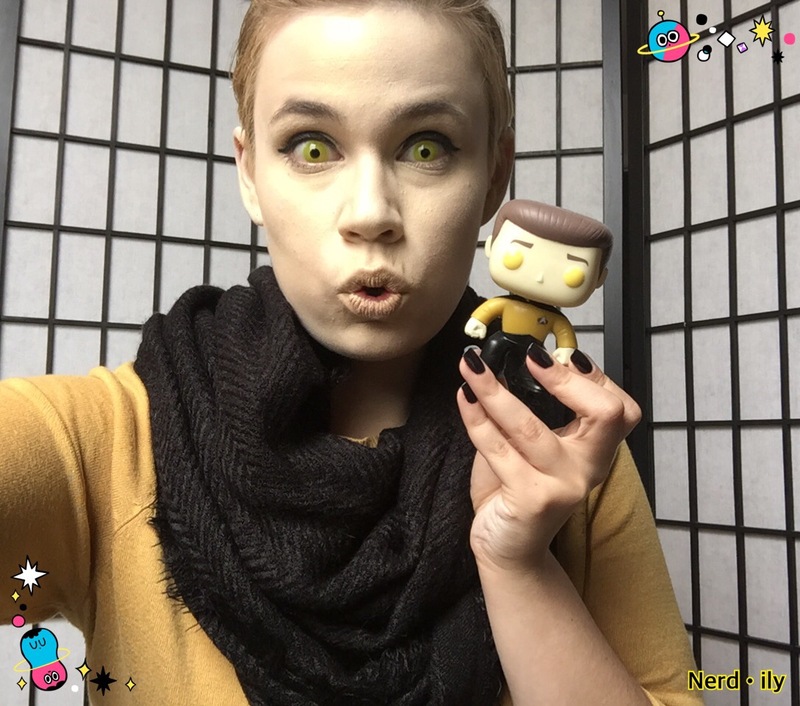 If you decide to use this tutorial to be Data, or you’re dressing up as any Star Trek character, make sure you share with me on Facebook, Instagram, or Twitter! And again, thank you for your support in helping me celebrate Star Trek’s 50th! Get ready for my Halloween posts coming up throughout the month of October! Absolutely love it! You look amazing! WOW this tutorial is cool!!!!! 😀 I might give it a try if I get the courage to cosplay Data! Omg you would be an ADORABLE Data!! I definitely want to see that! Wow that makeup tutorial is spot on! Thank you!! It’s not the best lighting but I’m glad it’s noticeable! 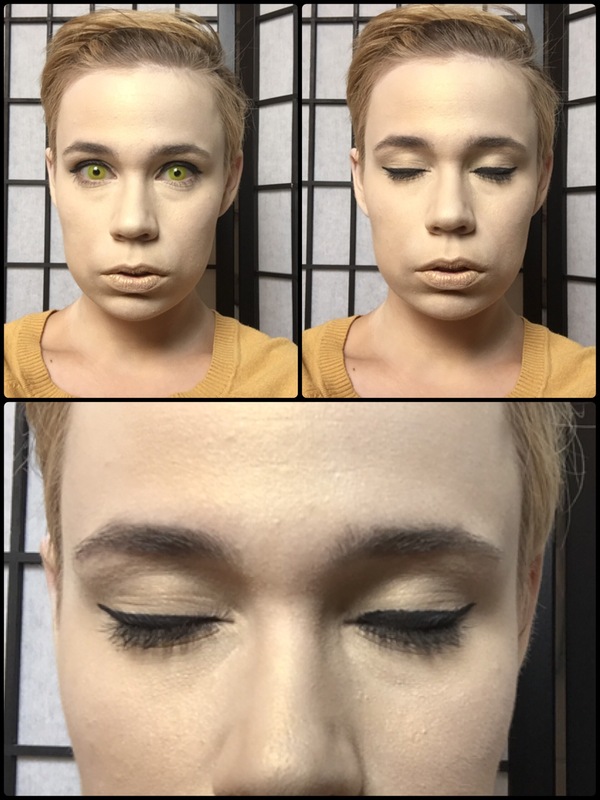 Just found this tutorial and love it! 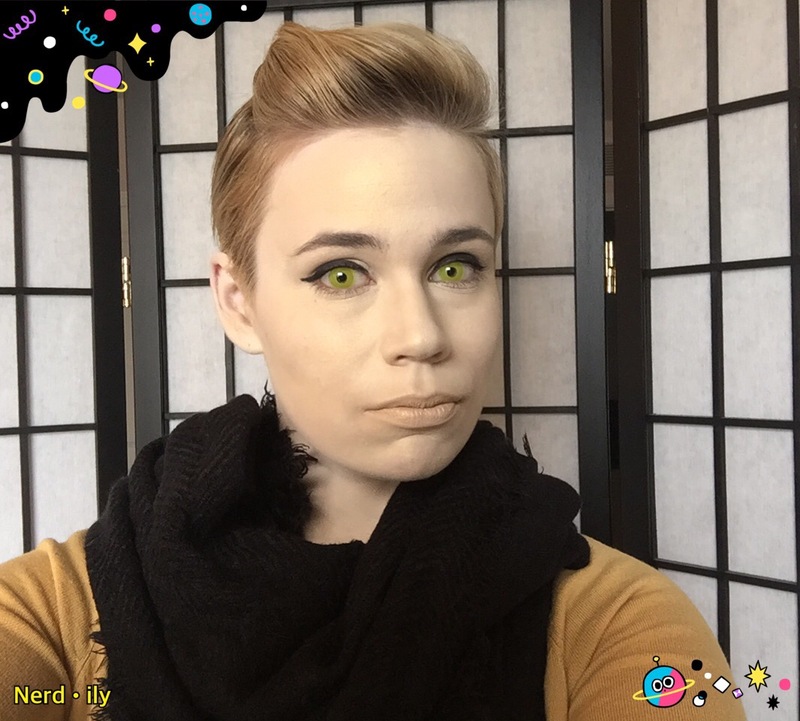 Im cosplaying as Data this year at dragoncon, I was curious about the makeup and if I should be worried about the makeup rubbing off on other people at the convention? Hey! If you use cream paints, it will more than likely rub off some. If it’s set with powder, it shouldn’t be too much, though. When I dressed up, I kept contact down to a minimum. But it was mostly my hands I had to worry about. THANK YOU!!!! For this amazing tutorial. I followed it exactly and it was a huge success!! Omg yay!!!! I’m so happy it worked for you, and thank you for sharing! You look amazing!